Gehlot chaired a high-level meeting on Wednesday at his residence, with officials from the police, Home, and Disaster Management departments to review the security arrangements in the state. 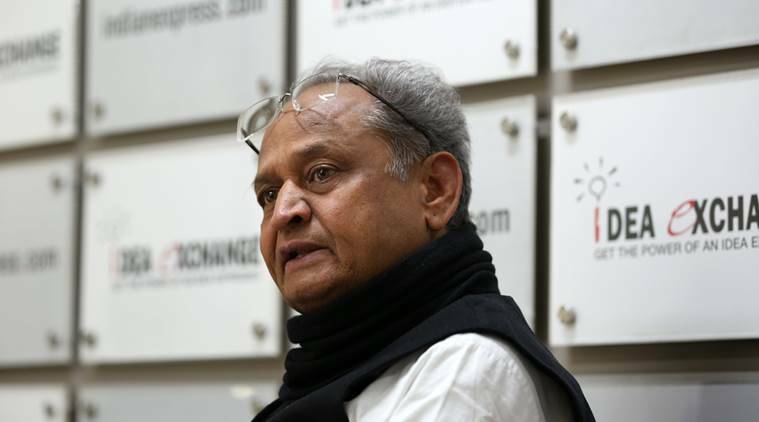 In the wake of escalating tension between India and Pakistan, Rajasthan Chief Minister Ashok Gehlot has ordered the state administration, especially in districts along the International Border, to be extra-vigilant and on alert. The chief minister said that the geographical position of Rajasthan is extremely significant from a military point of view. He asked officials from departments such as Health, Transport, Food, Water and Electricity to maintain coordination with each other, and to be prepared for all types of circumstances. “We have appealed to the common public to immediately report to the authorities if they witness any unusual incident, people or suspicious things at public places. We have also asked them not to trust rumours…,” Sriganganagar District Collector Nakate Shivprasad Madan told The Indian Express on Wednesday. Residents living along the border in Sriganganagar told officials that they had heard a “loud explosion” on Wednesday but didn’t discover its source. “There were reports about an explosion heard by local people near Raisinghnagar-Anoopgarh, which is also a border area, but so far there has been no official confirmation of the alleged event,” said Madan. Barmer district officials said that extra vigilance is being ensured to keep an eye on villages part of the Border Area Developmental Programme . ‘We have alerted our district machinery that they should remain at their postings and if they find any untoward incident, they should report immediately and take remedial actions. At present, there are no orders of evacuation of villages near the border,” said Barmer District Collector Himanshu Gupta. In several border districts, the police have also cautioned government officials about phone calls wherein the caller asks them about troop movements or other information.